You dream it - We make it! 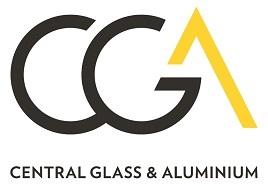 Central Glass and Aluminium is a 2nd generation family business servicing the Gold Coast, Northern Rivers and Brisbane region specialising in commercial products, upmarket residences and stand-out, unique, one-off items. We especially love creating unique elements for our clients. In our 45 years of business, delivering and installing top quality products that are manufactured locally in our factory, there isn’t' much we haven’t had come cross our path to create. Manufacturing only in commercial and high end products from the AWS commercial range such as Elevate and ThermalHEART product selections, we are skilled and ready to turn your project dreams into a reality. We can provide a quote from the plans you send us or do a site measure when you are ready - we can even freight interstate if you need to source something unique. CGA is a reliable partner who will work beside you to deliver a project on time, whether renovation or new commercial build.